"Hiring Now" MEHAIR is currently recruiting Qualified Personnel for positions of Trainee First Officer, Chief Of Flight Safety, CAM, Quality Manager and Chief Security Officer. Please refer to "Careers" for details. Maritime Energy Heli Air Services Pvt. 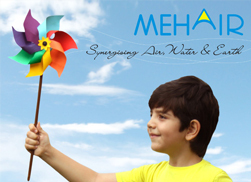 Ltd. (MEHAIR) has pioneered the launch of seaplane services in India since January, 2011. Though young in years, the company has implemented a well developed and robust Safety Management System to ensure a safe operation for its clients.